Much like a doctor can’t prescribe a medicine without first accurately identifying an ailment, a mechanic can’t successfully repair a car until they have taken the time to trouble shoot the problem to make an accurate diagnosis. There are many types of automotive diagnostic tools that make this job significantly easier. Some examples of automotive diagnostic tools include OBD II scanners which allow a car mechanic to read engine fault codes, smoke leak detectors that make it easy to find the source of vacuum leaks, oil tracer dyes that allow a mechanic to pinpoint the source of an oil leak, and borescopes that enable a mechanic to view the inside of the engine. Automotive diagnostic tools will ultimately save you tons of time by helping you diagnose problems more quickly and more accurately. Replacing parts is the reality of owning a car. Over time as your car’s mileage increases, so does the wear and tear on parts ranging from engine components to suspension to your interior. As parts deteriorate, they should be replaced before they fail to keep your car on the road and in top notch running condition. Fortunately, you don’t always have to pay a dealer to replace these parts if you are patient and capable of turning a wrench. 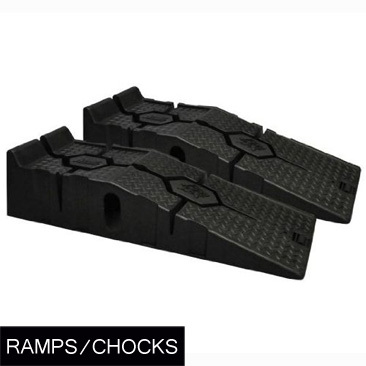 Replacement parts are widely available for modern cars, which allows resourceful home mechanics to get parts cheap and save big money on labor costs. Automotive performance products are designed to make your car perform better by increasing your horsepower and torque, improving your car’s handling capabilities, improving your car’s fuel economy, extending your car’s lifespan, or making your car easier to work on. Some examples include header wraps to reduce under-hood temperatures, adjustable coil-overs to dial in your car’s suspension, and performance engine software to eke out a little bit of extra power or fuel economy from your engine. These products are all designed in one way or another to make your car do something better than it did when it came from the factory and are ideal for people who intend to race their cars or enthusiasts who just like to make their cars perform better! Automotive enthusiasts pay meticulous attention to detail. Not only does this include the mechanical aspects of a car, but also the cosmetic aspects of a car. Expert detailing goes a long way in terms of making a car shine and can be the difference between an average vehicle and a 100 point Concours car. In addition to making your automobile look great, routine detailing can help to preserve the interior and exterior of your car over its lifespan. Some examples of automotive detailing products include leather conditioner to protect your seats, carnauba wax to prevent your paint from fading in sunlight, and a leather chamois to keep your paint scratch and lint free when drying your car after a wash. Automotive detailing products will ultimately make your car look better for longer! When it comes to making sure your car operates as it should, fluids and additives are the unsung heroes. Whether it is brake fluid that allows your car to stop efficiently, oil that lubricates your engine and keeps it free of corrosion, or coolant that facilitates heat transfer and prevents your car from overheating, fluids and additives are the lifeblood of your car and are absolutely necessary for safe and reliable vehicle operation. In addition, certain fluids can be used to stabilize fuel during planned non-operation of your vehicle, increase fuel efficiency on your day to day commute, clean your fuel system after getting some bad gas, break up surface rust, and a variety of other tasks that are imperative to keeping your car on the road. If you are going to work on your car, you can’t do it without proper tools. Hand tools are the most basic tool variety, and they are the tools that mechanics use to perform over 90% of their work. Hand tools are used for almost every type of automotive repair possible. Some examples include taps and dies for cutting threads, socket wrenches for tightening and loosening bolts, screw drivers for installing hose clamps, Allen wrenches for removing interior trim, adjustable or open wrenches for turning screws and nuts with limited access, breaker bars for extra leverage when removing stuck fasteners, pliers for installing cotter pins, and hammers for bodywork. Every mechanic relies on tools to get the job done and hand tools should be the first type you buy to start filling your tool chest. Not all work on your car happens under the hood. 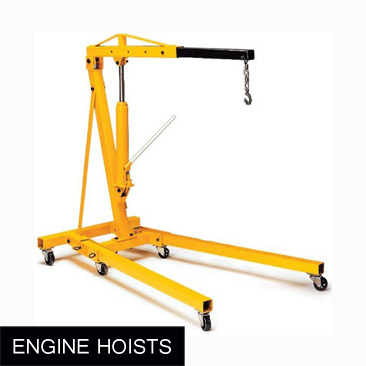 For many tasks, you must have the ability to lift your car (or some of its components) up into the air so that you can either slide underneath your car or separate major components from the chassis such as engines and transmissions. Furthermore, if you do lift your car into the air, you must support it adequately for your own safety as well as to avoid potential damage to your car. 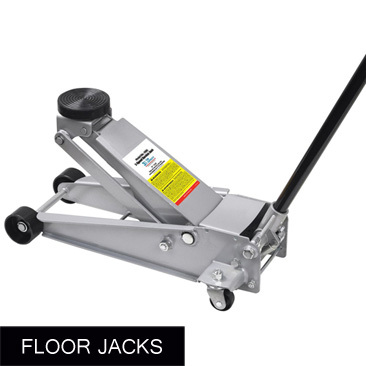 When it comes to lifting, tools such as floor jacks, transmission jacks, engine hoists, ramps and wheel chocks, and vehicle lifts all come in handy. 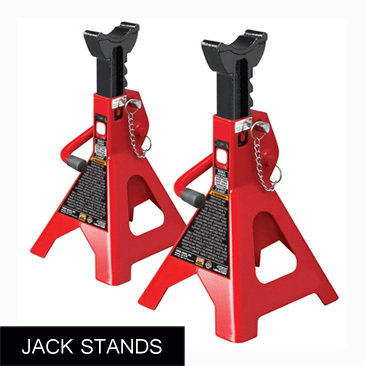 When it comes to support, jack stands are essential. 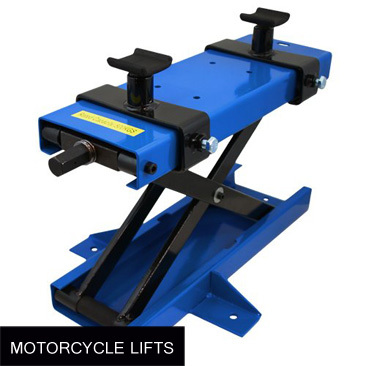 With appropriate lifting tools like these in your garage, having adequate space to work underneath your car will never be a problem! For automotive manufacturers to achieve the levels of performance and fuel economy that they do today, they must rely on extremely precise manufacturing tolerances when designing and building their vehicles. Cars that are built to these high standards must also be maintained by similar standards. Modern cars require a myriad of precision measurement tools to allow mechanics to keep them performing at their best. Some examples include using feeler gauges to gap spark plugs, using a digital caliper to measure valve shims, using torque wrenches to tighten bolts to spec, or using a compression tester to verify engine health. Without tools that allow for precise measurement, a lot of automotive maintenance would be left to guess work. From time to time accidents happen. Whether you were rear ended at a stop light or a runaway shopping cart scratched your paint in the grocery store parking lot, occasionally you will need to make cosmetic repairs to your car. Sometimes this can be as simple as applying a little buffing compound to remove a paint scuff, but other times it requires tools like a dent puller, dead blow hammer, and body filler to repair damage that is slightly more severe. In addition to repairing damage, there is a large contingent of automotive enthusiasts that like to personalize the cosmetics of their car. Often times they will add a splash of color to certain components such as their wheels using wheel paint or their valve cover using engine enamel. Whether you are improving the cosmetics of your car to make your car unique or to repair damage, choosing the best products is absolutely essential. When working on your car, nothing is more important than your safety. Fortunately, staying safe is well within your control. While using common sense is the most important facet of safety, there are other things you can do to limit the chance of injury. One such defensive measure that you can take is wearing appropriate personal protective equipment (which is often abbreviated PPE in industry). Some of the most common equipment in the automotive repair world includes gloves to prevent you from busting your knuckles, coveralls to reduce contact between your skin and potentially toxic substances, and safety glasses to protect your eyes from debris or splashing liquids. While hand tools are the old standby, power tools can significantly reduce the time it takes to complete repair jobs as well as reduce operator fatigue. There are two major forms of power tools: electric power tools and air tools. Electric power tools tend to be a little more accessible to most hobbyist mechanics whereas air tools tend to be more common in auto shops due to the fact that they require an upfront investment that’s a little bit higher. 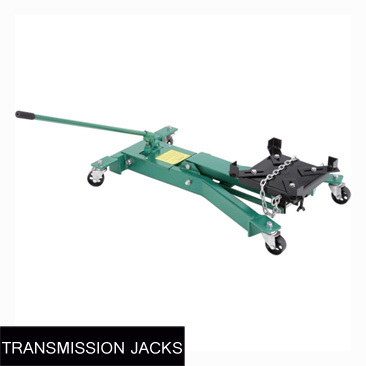 All of the common tools including impact wrenches, drills, buffers, and grinders can be found in both styles so there is no need to worry if you don’t have an air compressor sitting in your garage. In general power tools tend to be a little pricier than hand tools, but many find their advantages to be worth the tradeoff. Routine maintenance should be the first thing you learn to do when teaching yourself to work on your car. Over the course of the life of your car, you can save considerable money by routinely changing your oil and coolant, replacing your air filter, swapping out your spark plugs, and rotating your tires yourself instead of paying a mechanic to do this work. In addition, you can significantly increase the longevity and reliability of your car by performing this maintenance per the recommendations in your vehicle owner’s manual. Most of this work is pretty straightforward, but it still requires some specific tools to perform. Items like oil drain pans, brake bleeding kits, spark plug sockets, and oil filter wrenches are indispensable for completing these jobs successfully. While having a ton of high quality tools is great, no garage is complete without a place to put them. Rather than leave your tools strewn about the garage floor, tool storage devices such as pegboards, tool boxes, rolling tool chests, and socket organizers can help organize your tools which makes them easier to find and ultimately saves you time when working on your car. Furthermore, storing tools properly protects them from incidental damage, keeps them free of dirt and grime, and ultimately extends their lifespan. Another bonus to proper tool storage is that it keeps your tools out of the way which allows you to better utilize the space in your garage.